Carnival Cruise Lines' ships are called the "Fun Ships", and the action onboard any of the Carnival cruise ships is non-stop and full of high-spirited active fun. Carnival is the largest and most successful cruise line afloat, and the lifestyle is much like you would find in Las Vegas -- glitzy and fast-paced. Carnival markets its ships to the average person and does not promise a luxury cruise experience. The quality of the cabins, cuisine, and entertainment is a good value for the price. Although the ships seem to have non-stop action, cruise travelers can always find a quiet nook to read a book, people-watch, or socialize with new friends or old family members. Carnival has 23 mega-cruise ships that primarily sail to the Caribbean, Alaska, Mexican Riviera, Bahamas, and New England/Atlantic Canada. The ship also sometimes features cruises to New Zealand, Australia, the South Pacific, South America, and Europe. Carnival's distinctive exteriors are white with a bright red funnel. Carnival has packaged a cruise experience that appeals to active cruisers of all ages. Although many think the ships' "fun" image is geared to the young, the average passenger's age is 45+. Carnival is a good choice for first-time cruisers, couples, singles, and multi-generational families looking for a good time, glamorous surroundings and glitzy entertainment. Anyone looking for a quiet cruise with lots of personal attention should probably look elsewhere. 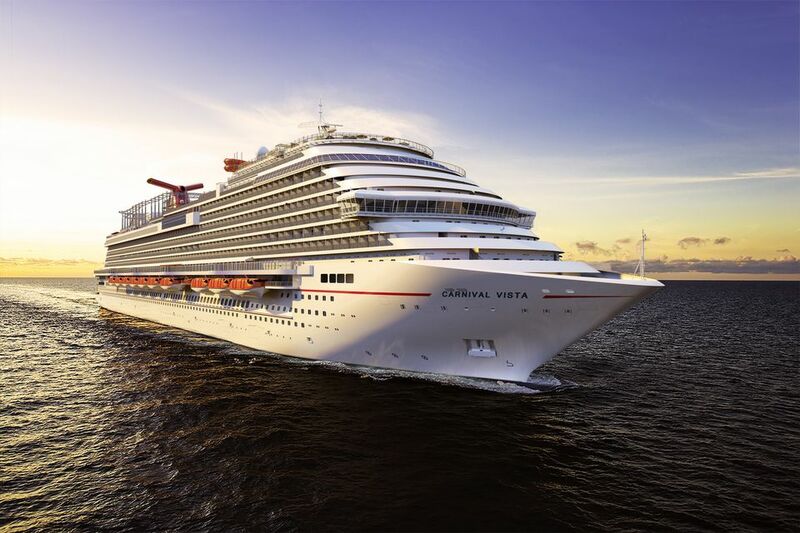 Carnival ships are designed to appeal to the mainstream cruiser, and there are multiple cabin categories on these mega-ships of every type--inside (no window), outside (window that cannot be opened), balconies, and suites. Even the smallest cabins are relatively spacious, and there is adequate storage for two people. Interestingly, although the smaller cabins are adequate, the top-priced suites are not as large as on many other cruise lines. Some cabins can accommodate 3 or 4 people. All the cabins have individually-controlled air conditioning and beds that can be made up as either king or two twins. A basket of bath amenities is included in each cabin. All Carnival ships have one or two non-smoking main dining rooms along with casual fast food or buffet-style eateries and smaller alternative restaurants that require a reservation and an extra charge. The Carnival fleet has standardized menus in the main dining rooms, and most ships have two or more seatings as well as open seating. The fun, active atmosphere carries over into the included dining venues, and most passengers love the parades of singing and dancing waiters. The luxury, extra-surcharge restaurants are elegant and provide exceptional food and outstanding service. A Carnival cruise ship is much like a summer camp for all age groups. Along with the bingo, dance lessons, and movies are numerous opportunities to spend your money -- art auctions, boutique shopping, and waiters plying you with drinks by the pool. Those who love an all-inclusive cruise will not enjoy this aspect of Carnival, but charging for "extras" has kept the basic fare low. The entertainment is often first-class and similar to what you will see in Las Vegas--excellent production shows. Most of the Carnival interiors are bright and complement the "fun" theme. The decor is certainly creative! The bright, often wild color combinations on some of the ships are stimulating and whimsical. Steiner operates the spa and fitness facilities for Carnival. The spas are lovely, and the fully-equipped gym impressive. Some fitness classes are free, but others have a fee. In addition to the treatment rooms are whirlpools, saunas, and steam rooms. The ships have three swimming pools, and most have a slide and other water park features. The pool is a popular spot on most cruises, although finding (and keeping) a pool chair can be a challenge at times. Ping pong, shuffleboard, volleyball, and a golf pro are also available.